of your car by driving it faster. Want to live longer? Take a nap. thoroughly used up, totally worn out and screaming "WOO HOO, What a Ride!!! Greg Gillis and Joe Carter say, let's get this party started! It is time to get together and chat, drink, or whatever makes you happy. As you will see from these links, they have libations and food to appease everyone. A favor of an RSVP would be great so we can be aware of who and how many will be there. Please send me an email. The National MS Society has designated March 13-17, 2006 MS Awareness Week. This particular week was chosen to coincide with the founding of the society in March 1946. The week will become an annual event that will recognize people with MS, their caregivers, as well as those who work on their behalf. My brothers wife Sandy Phan-Gillis helped to bring the Beijing Opera to town for a Chinese New Years Eve performance. Linda and I were invited to attend and although much of the time we couldn't understand the language we found that some of the performace didn't need words. Below is an exerpt of the article in the Houston Chronicle. Jan. 23, 2006, 5:22AM Chinese, Vietnamese greet new year with celebrations Fort Bend, Houston host holiday events By ZEN T. C. ZHENG Copyright 2006 Houston Chronicle It is the Year of the Dog, but Monkey King doesn't want the celebratory fun to belong just to the canine family. As cymbals, gongs, wooden clappers and a variety of traditional Chinese instruments are sounded at the Stafford Centre Jan. 28, the primate will jump on the stage in a role as a rebel to make quite a scene, his unique way to send out New Year cheers to Houston. The classic Beijing opera, The Adventure of the Monkey King, features artists from China and is billed as a production filled with acrobatic and musical excitement. "Traditional opera performance has always been a big part of the Lunar New Year celebration in Asia. This is the first time ever that a professional Beijing opera troupe is in Houston to join the local Asian-American community to mark this most important time of the year," said Sandy Phan-Gillis, president of the U.S.-China Federal Association of Business Councils, which is sponsoring the cultural night with several other local Chinese-American organizations. In addition to Beijing operas, also known as Peking operas, the event also features Chinese traditional instrumental music and dances and a number of local talents. The Beijing Opera Night will begin at 7 p.m. Jan. 28 at the Stafford Centre, 10505 Cash Road in Stafford. For tickets, call 713-988-1181 or 281-498-4310. The occasion is marked by the Vietnamese, who call it Tet. Other ethnic groups, including the Thais, Cambodians, Laotians and Burmese, celebrate Lunar New Year in April. On the lunar calendar, each year is named after an animal or a mystical beast, as a zodiac sign, with 12 animals, or 12 years, completing a cycle. This year, the Year of the Dog starts on Jan. 29 for the Chinese and Vietnamese. While many Asian-American organizations, churches and temples throughout Houston hold celebrations for their members, several main events are being planned to draw large crowds of participants of both the Asian and non-Asian communities. In addition to showcasing the Monkey King opera, the Stafford Centre also will feature Chinese artists performing excerpts from several Beijing operatic standards based on historical stories or folk legends. Calling Beijing opera a "national treasure" of China, Phan-Gillis said Chinese New Year events promote the traditional culture, and it's fitting to highlight it with this unique art. With a 200-year history, Beijing opera is regarded as the highest expression of the traditional Chinese culture, according to Phan-Gillis. It features face-painting, stylized moves and melodies, literary monologues and dialogues, acrobatic display and mime. Alief resident Y.S. Tay said he missed the tradition of going to a Beijing opera during the Lunar New Year in Houston and is looking forward to the performance. "It's very rare to see an authentic Beijing opera performance in Houston, especially during the New Year," said the 72-year-old, self-described Beijing opera buff. "I'm excited to know that authentic, professional-class Chinese national operas are coming to town." Another Chinese New Year performance also is set for the Stafford Centre stage at 8:30 p.m. Feb. 19. For tickets, call 713-569-6543 or 713-777-3359. The "Myths and Legends" show will present traditional and contemporary cultural performances organized by the New Tang Dynasty Television, a New York-based organization which is opening a market in Houston. Linda and I went down to Corpus Christi this weekend to celebrate my Grandmothers (Nana) birthday. Below is a blurb my mother wrote for the newspaper. Ina Eugenia Harrison ( Keefer) was born on December 12, 1915, in Hico, Texas, to Winnie Broadway Harrison and Julius Caesar Harrison. 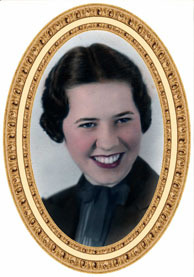 She was the eldest of her siblings: Barbara Harrison Hiser, Martel Wayne Harrison, Myrtle Lee Harrison, and Gloria Harrison McNaughton. Only she and her younger sister, Gloria, remain. During her youth, the family lived in several Texas cities (El Campo, Dallas, Waco, Bryan, San Antonio) as her father was an Electrical Engineer on various jobs, which was to their good fortune during The Depression. As a young woman, Ina moved to Corpus Christi in the mid-1930's, when Water Street was just that - water. She lived on a farm with her uncle A.C. Watson and his family, until she went to work at Merchant's Credit, then she moved into the city. That horse farm was considered to be way out in the country. Today, it is called South Alameda. In 1937 she met and married Ferrell Keefer, son of local residents Pauline and Harry Keefer, and sister to Adelaide Keefer McAdams. 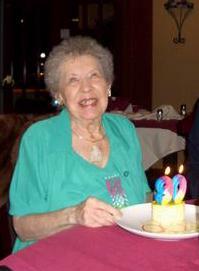 In 1938, they had their only child, Peggy Pauline Keefer (Gillis). In 1944, Ina and her daughter moved to San Francisco, California, while Mr. Keefer served in the Army in Honolulu, Hawaii. Ina worked in one of the grocery stores owned by Pauline and Harry Keefer who had recently located there. After World War II ended, Ina, Ferrell and Peggy returned to Corpus Christi. In the early 1950's they moved back to San Francisco for another year and a half before permanently making their home in Corpus. After Peggy left for college, Ina became very busy with church work. In 1957, the First Christian Church was located on Upper Broadway, and just down the street from the local library. As an avid reader, she spent a lot of time at both locations. She is a Past President of the United Church Women, and also a Life member of the National Federation of Music, and the Oso Chapter of Eastern Star. During the 1960's, grandchildren were added to Ina's family tree. First there was Jeffrey, then Gregory, Shelley and Kimberley. Ina spent lots of time with the children in the 1960's and 1970's, as she was their welcomed sitter when Peggy and Jim were off on company trips. In 1986, Ina took over her husband's business (Bell Finance Service), when he passed away. In 1998, she sold the company, and she retired from the business world, but not from life. She continued to travel nationally and internationally for several years. The Guy's Rules We always hear "The Rules" from the female side. Now here are the rules from the male side. These are our rules! Please note... these are all numbered "1" ON PURPOSE! 1. Men are NOT mind readers. 1. Learn to work the toilet seat. You're a big girl. If it's up, put it down. We need it up, you need it down. You don't hear us complaining about you leaving it down. 1. Sunday sports. It's like the full moon or the changing of the tides. Let it be. 1. Shopping is NOT a sport. And no, we are never going to think of it that way. 1. Crying is blackmail. 1. Ask for what you want. Let us be clear on this one: Subtle hints do not work! Strong hints do not work! Obvious hints do not work! Just say it! 1. Yes and No are perfectly acceptable answers to almost every question. 1. Come to us with a problem only if you want help solving it. That's what we do. Sympathy is what your girlfriends are for. 1. A headache that lasts for 17 months is a problem. See a doctor. 1. Anything we said 6 months ago is inadmissible in an argument. In fact, all comments become null and void after 7 Days. 1. If you won't dress like the Victoria's Secret girls, don't expect us to act like soap opera guys. 1. If you think you're fat, you probably are. Don't ask us. 1. If something we said can be interpreted two ways and one of the ways makes you sad or angry, we meant the other one . 1. You can either ask us to do something or tell us how you want it done. Not both. If you already know best how to do it, just do it yourself. 1. Whenever possible, please say whatever you have to say during commercials.. 1. Christopher Columbus did NOT need directions and neither do we. 1. All men see in only 16 colors, like Windows default settings Peach, for example, is a fruit, not a color. Pumpkin is also a fruit. We have no idea what mauve is. 1. If it itches, it will be scratched. We do that. 1. If we ask what is wrong and you say "nothing," We will act like nothing's wrong. We know you are lying, but it is just not worth the hassle. 1. If you ask a question you don't want an answer to, expect an answer you don't want to hear. 1. When we have to go somewhere, absolutely anything you wear is fine...really. 1. Don't ask us what we're thinking about unless you are prepared to discuss such topics as baseball, the shotgun formation, or golf. 1. You have enough clothes. 1. You have too many shoes. 1. I am in shape. Round is a shape! 1. Thank you for reading this. Yes, I know, I have to sleep on the couch tonight; But did you know men really don't mind that? It's like camping. Today I passed my first Microsoft certification exam giving me Microsoft Certified Professional status. While I have previously received COMPTIA A+ and Network+ certifications this is my first Microsoft certification on my way to (MSCE) Microsoft Certifiied Systems Engineer and (MCSA) Microsoft Certified Systems Administrator certified status. Today I passed the COMPTIA Network+ Certification exam. "Earning a CompTIA Network+ certification demonstrates that a candidate can describe the features and functions of networking components, and possesses the knowledge and skills needed to install, configure and troubleshoot basic networking hardware, protocols and services. The exam tests technical ability in the areas of media and topologies, protocols and standards, network implementation, and network support. The exam also covers new technologies such as wireless networking and gigabit Ethernet." Valentines Day! This day is very special to me. February 14th, this year, will bring on the 18th year anniversary that Greg asked me to marry him. Engagement day! We have shared and grown so much. I am glad that we found each other. My wishes are that this day brings on much happiness and great memories for you as well. So happy hearts day to you! I have been wanting to try gmail, Google's free email since I first heard of it. I have even read that some people were selling invitations. Well I found a guy in india that gave me an invitation. All that he asked was that I send him an email request and tell him a little about myself. Later on the same day I won another invitation which I gave to my wife. After signing up, Gmail gave Linda 4 invitations. So, in the same spirit as Paramdeep Pahwa ( the guy from India) that gave me an invitation we would like to offer these invites to the first 4 people that send a request to me with a little bit about yourself. Click the link below to make the request. UPDATE: Gmail changed the way invites are given out. If you want one then email me at gtgillis@gmail.com. "46. Beethoven was so hard of hearing, he thought he was a painter."